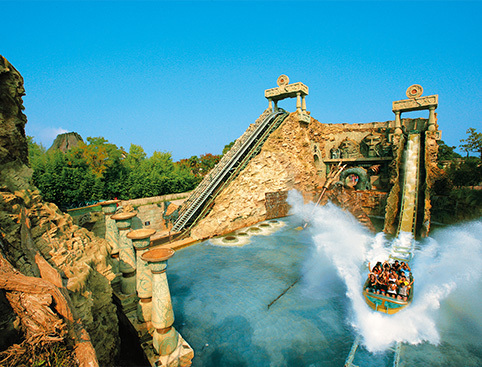 Located on the south-east banks of Lake Garda, Gardaland is Italy’s top amusement park and a must-do for families visiting the region. Little ones will be bowled over by the chance to meet Peppa Pig in person! 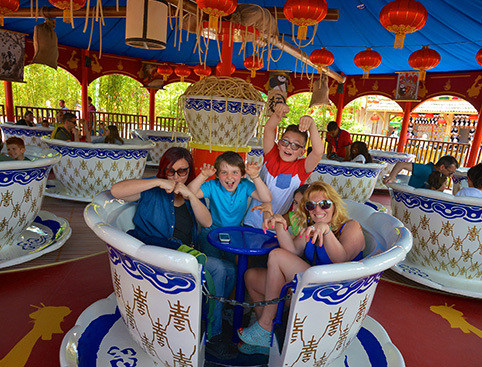 In this brand-new themed area you can visit Peppa’s famous house, sail on a pirate ship, fly through the clouds in colourful balloons and take a ride on Grandpa Pig’s cute little train. Ninjas-in-the-making can meet Master Po and perfect their abilities to become the greatest Kung Fu Master of all time! 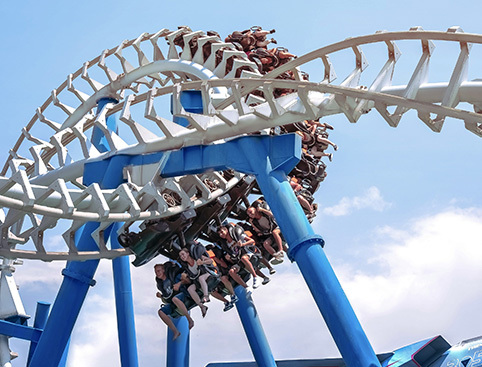 Get ready for a real adrenaline rush on this reckless and terrifying flight, with vertical drops and dizzying peaks as you race to escape the deadly claws of a tireless predator. Experience an exciting, fast-moving performance of famous scenes from Broadway productions like “Mamma Mia”, “Grease, “Sister Act” and “Moulin Rouge” in Gardaland on Broadway. Journey into an unexplored paradise in the heart of planet Earth in 5 Elements, where Earth, water, fire, air and light come together in world-class acrobatic performances. Tickets are dated and can only be used on the date printed. Park opens from 10am to 5pm with extended opening hours in the summer time and at special events. Please check locally for most up to date opening times. Transport is NOT included and you'll need to make your own way to the park. Coming from Milan? Exit at Peschiera del Garda. You’ll find the Park just a few kilometres from the motorway exit. Coming from Venice? Exit at Sommacampagna or Peschiera del Garda. You’ll find the Park just a few kilometres from the motorway exit. Coming from Modena? Take the junction connecting to the A4 motorway towards Milan and exit at Sommacampagna or Peschiera del Garda. The park is a few kilometres from the motorway exit. 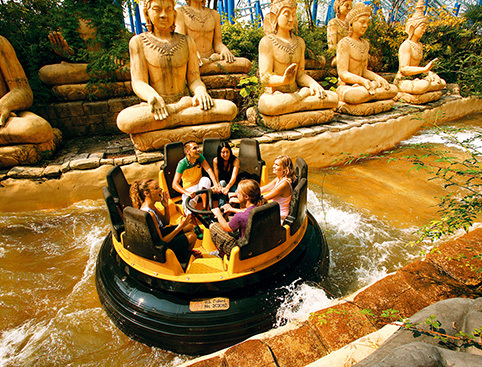 Gardaland Park is only 2 Km from Peschiera del Garda railway station (Trenord Milan-Brescia-Verona line or Trenitalia Milan-Venice line). A free shuttle bus service runs to and from Peschiera del Garda railway station and the Park. The service runs every 30 minutes during Park opening times. PETS: They are welcome. However, dogs must be kept on a leash. Pets cannot get on any rides, neither access our shows; they are welcome in designated areas within restaurants which will be pointed out by our staff. WI-FI:The entire park offers a convenient and free Wi-Fi service. 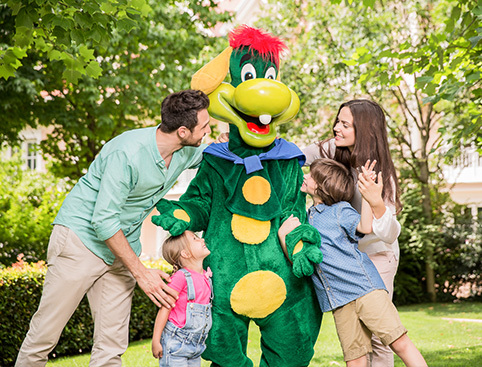 Find the “Gardaland-Guest” network with your device and connect free of charge via your Social profile (Facebook or Twitter) or register and... Enjoy Surfing! Entry with bicycles, skateboards, roller skates etc. is prohibited.